No matter where you're headed, this ultimate travel packing list will make sure you get there with everything you need. 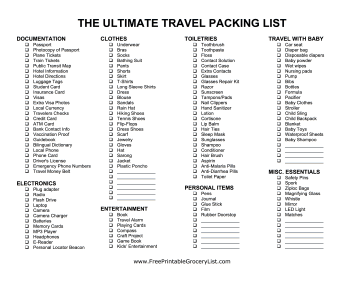 From clothes to diapers, most travelers will find this list comprehensive enough for their needs. Checkmarks make it easy to keep track of what you've already packed!